Bare windows do not look good and even its not safe as they can be the mode of entry for the various flies and dirt, which can change the environment inside the house, and can disturb your mood. So, installing blinds at those places will be a safe option. Victorian Blinds are the maker of Custom-made blinds and Best Window Blinds Cranbourne. 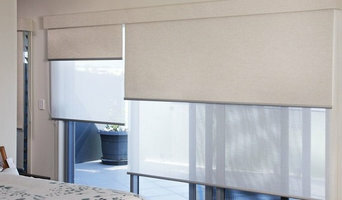 We also have experienced technicians for Blind Installation Services. 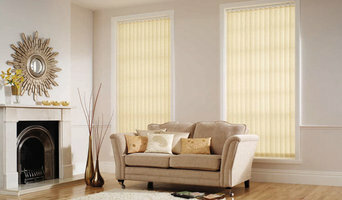 So, Victorian Blind is a big name for blinds supply and their installation in Cranbourne. You can trust our products which comes with decolorization warranty. We would love to increase the beauty of your house with the blinds installation of your choice. You can book for the supply and installation by contact online or can reach to our store directly. Welcome to Bobs Blinds- One stop destination for all your window dressing needs. This is the place where no you can get a wide range of blinds, curtains and shutters. Our custom-made blinds are rich in quality and durability. Whether you are looking for the commercial and residential blinds Pakenham, Bobs Blinds is always the right choice. We have been in the business for more than 10 years and known for delivering best window blinds. Moreover, we also offer blinds installation services. Contact us now today and get your free quotes today. Accolade® PVC Weather Screen System is designed to bi-fold, stack, slide, and hinge open – allowing you to maintain an open or closed outdoor environment with ease. An innovative and stylish alternative to traditional PVC Café Blinds, Accolade® has also developed internal sunblock out blinds which complement our Accolade® PVC Weather Screens range, and will give your home a complete solution to all weather conditions. Also available at Accolade® are our extensive range of Ali Screen’s woodgrain aluminium slats, which are ideal for feature walls, motorised gates, fencing, and privacy screening. To see Accolade® Outdoors in action and to find out how we can transform your outdoor area, please browse our products, gallery or contact us today to organise your FREE measure and quote. Zone Interiors is a leading supplier of high quality DIY blinds and curtain accessories. Our products are available a range of standard sizes and popular modern colours. We also offer custom cut to size solutions for nonstandard sizes. You can find our products available at all Bunnings and Mitre10 stores. Domestic & Commercial Soft Furnishings Specialists Buying quality window furnishings can be a big decision. Over whelming product choices and even more confusing advice can leave many people bewildered. We all want the best option for the best value for our hard earned dollar, whether it is for our castle or work place. This is where A & B Interiors can help take some of that stress away. Our clients have the advantage of not only Tony Boyd’s 35 years of experience but also the fresh eyes of his daughter, Hailey, who is continuing on in this strong family business. Tony and his wife Cheryl established A & B Interiors in 1978, long before mobiles, faxes, computers and Facebook! They don’t like to admit this! Tony’s experience in all aspects of the furnishing industry, from the ground up, is why clients feel comfortable to let A & B take care of their furnishing needs. There is not much that Tony has not seen and can’t be fitted! Being members of the Window Coverings Association of Australia has them not only regarded highly and respected by their peers and industry counterparts, but also gives their clients confidence they are dealing with a reputable and well established business. Thanks to our years of experience and expertise the team at Elite PVC Bi-Folds & Blinds can manufacture and install a blind system that gives you greater flexibility and allows you to access your outdoor areas throughout the year. The team at Elite PVC is driven by our vision to lead in well-designed systems that are reliable, easy to use and maintain and give true added value to your home or business. If you would like more information about our approach and our commitment to your needs please feel free to contact us today. 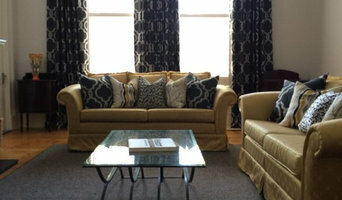 Custom made blinds - awnings - curtains and shutters We offer superior quality and service backed by years of experience. 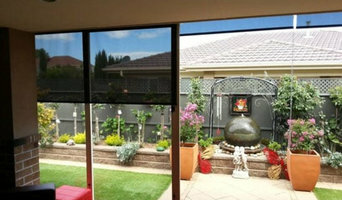 We quote in home for the absolute best solution for your window furnishing or shading system. Sheridan Window Furnishings offer an exceptional level of quality and professionalism to the people of Melbourne. We know and understand how important the decision is to get your window furnishings correct, and we pride ourselves on being able to guide each and every customer towards choosing the right blinds, shutters, curtains and awnings to compliment your windows. From quotation right through to installation and beyond, we are always there for any advice you may need when it comes to your windows. 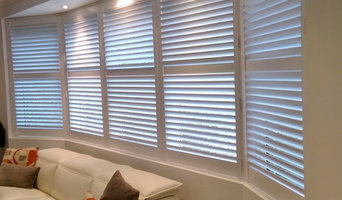 Victorian Blinds Company is the right option for excellent Roller Shutters Melbourne. Our service providers are experienced and active to give the best services at an affordable price. We at Victorian Blinds offer best services such as roller shutters Melbourne, roller shutters installation, roller shutters for windows, roller shutters supplier and cheap roller shutters Melbourne. Our extensive range of advanced roller shutters gives protection and security to your homes. Additionally, we possess entire experience all the more worthwhile. We have two decades of experience in our profession and try to give full satisfaction with our professional work. You can contact us online. Get free quotes also. At Gabriellas decor you will find the most beautiful plantation shutters and blinds in Melbourne at factory direct prices! Why pay more? Shop with us and save!